This documentation assumes that you already have Contact Form 7 plugin installed on your WordPress website. 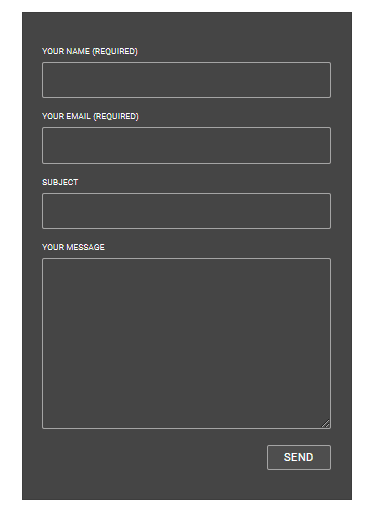 Using the Contact Form 7 element you can now customize any form that you have created with contact form 7. From the Content settings, you will find a list of all the forms that you have created with Contact Form 7 plugin. Use the drop-down menu to pick a form to add styling to it. From the Form Container Styles option, you can pick a background color for your form, set its alignment, width, margin, padding, and radius. You can pick a separate color for its background. Click on the pencil icon to adjust box shadow for the element. You can separately adjust the input field style for the element. Similarly, you can also adjust the TextArea width from here. Then go ahead and customize the label and input field typography separately. At last, you can customize the style of the submit button. You can adjust its alignment, width, typography, margin, padding. You can pick separate color and typography for normal and hover state for the button. See how beautiful Contact Form 7 forms you can build with Essential Addons.